Clarksville, TN – In just 33 days, Austin Peay State University’s inaugural beach volleyball season will get underway in Birmingham, Alabama with the first of 28 matches during the two-month campaign. The Governors will open their first-ever season in the sand with an eight-day road trip, beginning at UAB’s Blazer Beach Duals in Birmingham, March 4th-5th. Austin Peay then travels up Interstate 20 to meet Jacksonville State in a solo contest, March 6th, before continuing up the interstate to Atlanta where it will compete in the Georgia State Day of Duals, March 7th. The Govs will spend the following weekend at Gulf Shores, Alabama, where they will play four matches in the Badger Beach Bash hosted by Spring Hill College. Austin Peay returns to Tennessee to host the first of its three weekend events. The Govs will host Carson Newman, Missouri Baptist, Central Arkansas and UT Martin in the Governors Beach Duals, March 17th-18th. Austin Peay will host that event at the Franklin Beach House, an indoor facility in Franklin. The wide variety of teams the Governors will face throughout their inaugural schedule is due to the sport being competed as a National Collegiate Championship by the NCAA – teams from all three NCAA divisions compete for the same national championship. That fact will be no more apparent during the Govs fourth weekend tournament, the Georgia State Diggin’ Duals in Atlanta. Austin Peay will open against Jacksonville State and UAB, April 1st, before returning the next day to face LSU and Lincoln Memorial. Austin Peay returns home to host its second tournament of the beach volleyball schedule, the Governors Beach Challenge, April 7th-8th. The Govs will host Louisiana-Monroe, UAB and Morehead State in an event to be held at the Nashville Beach House in Joelton. 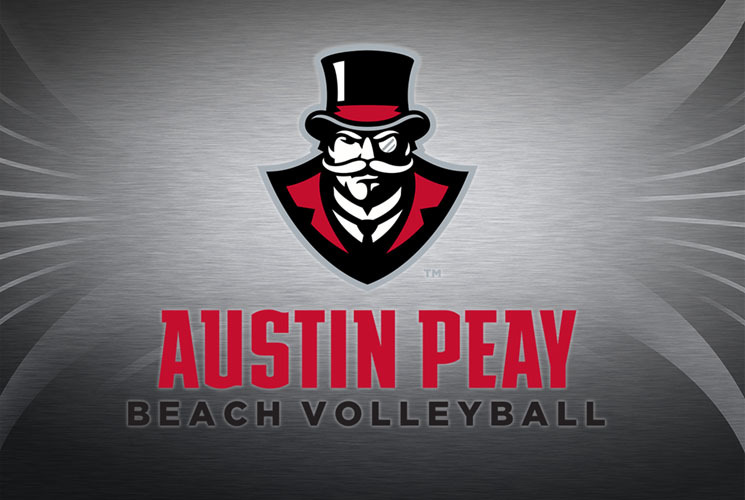 After a home-and-home matchup with UT Martin – an April 12th date at Martin and an April 19 contest in Franklin – Austin Peay wraps up the regular-season slate with its own APSU Beach Bash, April 22nd-23rd, in Joelton. The Govs will host Spring Hill, Lincoln Memorial and Carson Newman in the round-robin event. The second NCAA Beach Volleyball Championship will be held May 5th-7th at Gulf Shores, Alabama. The eight team event was won by USC last season.